SAP technologies are not new today, and there is no industry segment that remained untouched by SAP’s ground-breaking innovations. The SAP Platform and technology solutions are enabling organizations to find creative ways to transform their business. The ultimate aim being satisfied customers. Much is written about SAP HANA as well, and the content about the technology is available easily. However, it is rare to find case studies and examples telling a story of real-life applications of SAP HANA and its journey with different industry segments. In this blog, SAP HANA applications are explained in a more practical way by showcasing real-life examples. Construction industry values time management the most as a start, and end date of each activity are critical. 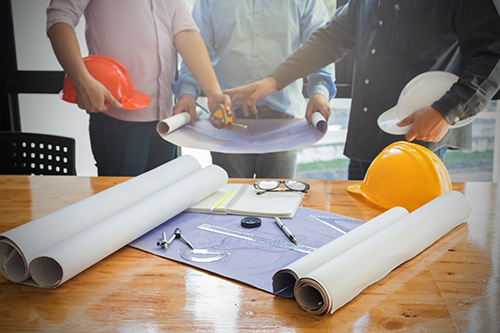 Any small or large construction venture clearly understands that any delay can impact subsequent downstream activities as mostly the activities are interdependent. Delays can cost more than money; reputation and name. In massive projects with few hundred thousand square feet land a complex project environment witness web of many vendors and sub-vendors. In such an environment, considerable time is spent on project management activities and updating status. With many projects parallelly being rolled out, program management becomes a big concern as it adds to workload considerably. For enterprises with 100 parallelly running projects, it can take up to 200 man-weeks per month only to receive an overview of the portfolio status. An observational study conducted in a software startup organization that develops and distributes solutions for digital planning and controlling of construction projects. The organization was in the process of streamlining their organizational project management. The organization used SAP HANA as a unified project management solution to get an overview and summary of their projects’ status periodically in a much faster way. The amount of time spent on completing project management activities such as vendor and stakeholder management, collecting and processing data, reporting, information management with transparency and confidentiality, was reduced significantly. SAP HANA’s project management application was known to help one of the biggest construction projects, Louvre Abi Dhabi. For this project, with SAP HANA, the time to collect data was reduced from 7 days down to 1 day while increasing the complexity and level of details 50 times. Healthcare industry is characterized by an enormous emphasis on quality, safety, and innovation. Manufacturing medical equipment with correct precision and accuracy is critical for any medical device manufacturer as it can directly impact any surgical procedure trying to save a life. Therefore, any equipment manufacturer strives to improve safety and quality in each surgery worldwide and to simplify processes in hospitals. A company is using SAP cloud Platform to develop mobile application accessible to physicians, hospitals, medical retailers. The mobile application enables users to track every instrument for its usage, process tasks, and access almost real-time data analysis. 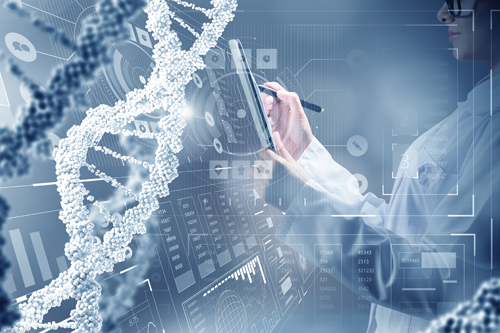 This platform developed using SAP Cloud and Analytics solution, connected over 10,000 hospitals tracking more than 10 million medical instruments. With the application, users can scan medical instruments using a bar code, retrieve product manufacturing and details, initiate reorders and repairs over the cloud. 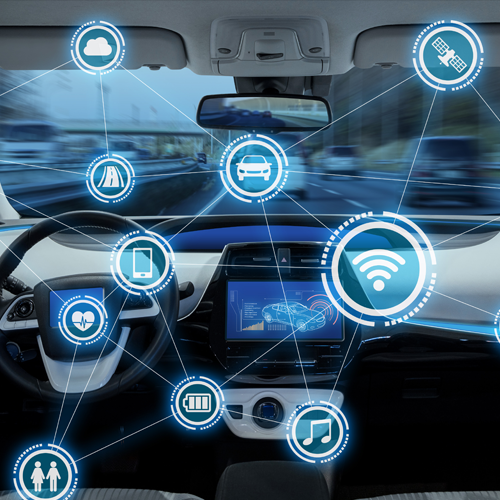 Over the past decade, the automotive industry is evolving rapidly with innovations like connected cars and self-driving vehicles. A startup automotive company was in search of single integrated technology that can help establish a business foundation and lead operations during all stages: inception, production, retail, and customer care. A company envisioned to deliver a cloud-connected car using SAP HANA platform where all stakeholders involved has access to the required data to build, inspect, track, ship, sell and buy the car. The company deployed a single data cloud platform for the entire business. This way, there were no versions of the data created other than the “True version.” The decision making was eased with informed, shared, real-time data at all stages. Using single cloud platforms cons observed with using disparate technologies were removed, and the company observed better collaboration and innovation. SAP Cloud Platform helped provide real-time data from the manufacturing to the retailer, and finally to the customer. Technology should improve the lives of society by addressing challenges using innovation. In 2016, Sixty-five million people were displaced from their native by conflict and disaster. A cross-border program was developed to address the refugee crisis in Europe. This program utilized the SAP Cloud platform providing a data-driven approach to analyze the situation, create a complementing solution taking into consideration refugees’ potential and the available opportunities. This innovative program was conceptualized to address the knowledge gaps about the economy, skills, and competencies of refugees. This data-driven approach connected more than 50K refugees to NGOs, coaches, and corporations. The bigger picture shown was an integration of refugees within the local society which impacts the lives of a diverse group of individuals. Data analysis with distribution and reporting, innovation, project management, a collaboration of efforts, SAP HANA has touched almost all the operations to build new ways to solve problems for customers, partners, and the industry. Not only these are limited to the business, but all these efforts are making the world a little better every time. The SAP HANA stories that are discussed are only a few examples of innovation in motion.